You'll be £4.99 closer to your next £10.00 credit when you purchase Breaking the Dams. What's this? 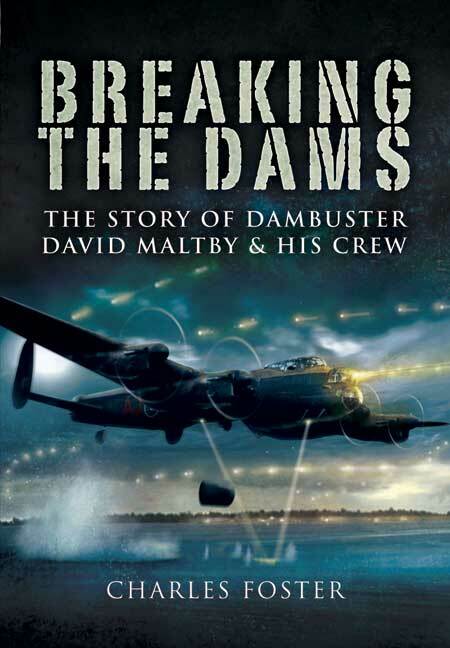 This is the story of the author's uncle, David Maltby and the crew with whom he flew on the famous Dam Raid in 1943. Just five months later, on their return from an aborted mission to bomb the Dortmund Ems Canal, they all died when their aircraft went down in the North Sea. Only David's body was recovered, washed ashore a day later, and identified by his 18 year old sister - the author's mother. David was the pilot of the fifth Lancaster, J-Johnny' to drop a bomb on the Mohne Dam and cause the final breach in the dam. He was then just 23 years of age, but already had 30 operations and a DFC to his name. This book tells the story of the crew, what made them join the RAF when they new the risk was so high, how fate threw them together, what it was like for one crew to take part in the raid and what happened to them in the five months between Operation Chastise and their deaths. It goes beyond the raid to look at what happened afterwards and how the families left behind were affected. Their sons, brothers and fathers might have become famous but they had to cope with life and loss in the same way as did thousands of other British families.